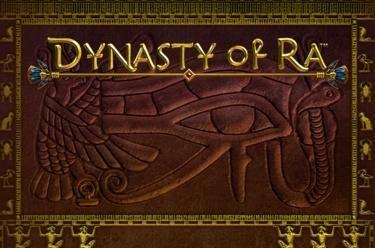 Play Dynasty of Ra™ online for free now! Cats have been worshipped for centuries. Ancient Egyptians held them as gods and goddesses. And who can blame them? 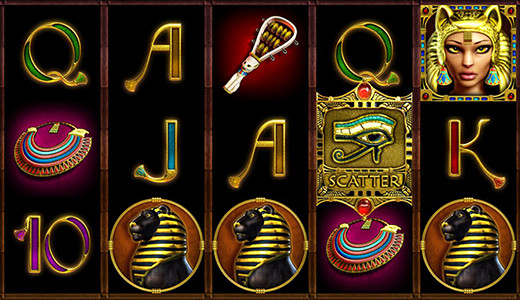 You can do the same, by spinning the reels in the name of Bastet - cat goddess and daughter of Ra: Dynasty of Ra™ is full not only of Ancient Egyptian symbols, but also fantastic Twist winnings. Get spinning now! Your aim at Dynasty of Ra™: Line up 5 matching symbols along one of the 10 win lines that all run from left to right. The Eye of Ra performs two functions: It is the wild symbol that substitutes for all other symbols and can therefore complete your winning combos. It is also the game’s scatter symbol: 3 of them anywhere on the reels trigger 10 Free Games! 10 Free Games will be activated if you land 3 scatter symbols (Eye of Ra) anywhere across the reels. If symbols form a winning pattern from left to right, they expand to cover every position on the reel and deliver you even bigger Twist winnings!